"Palladio" redirects here. For other uses, see Palladio (disambiguation). Andrea Palladio (Italian pronunciation: [anˈdrɛːa palˈlaːdjo]; 30 November 1508 – 19 August 1580) was an Italian architect active in the Venetian Republic. 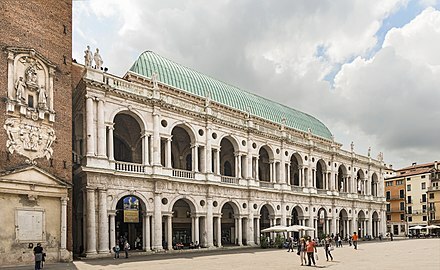 Palladio, influenced by Roman and Greek architecture, primarily by Vitruvius, is widely considered to be one of the most influential individuals in the history of architecture. All of his buildings are located in what was the Venetian Republic, but his teachings, summarized in the architectural treatise, The Four Books of Architecture, gained him wide recognition. The city of Vicenza, with its 23 buildings designed by Palladio, and 24 Palladian Villas of the Veneto are listed by UNESCO as part of a World Heritage Site named City of Vicenza and the Palladian Villas of the Veneto. Palladio was born on 30 November 1508 in Padua and was given the name, Andrea Di Pietro della Gondola. His father, Pietro, called "Della Gondola", was a miller. From early on, Andrea Palladio was introduced into the work of building. In Padua he gained his first experiences as a stonecutter in the sculpture workshop of Bartolomeo Cavazza da Sossano, who was the sculptor responsible for the altar in the Church of Santa Maria dei Carmini in Padua. Cavazza da Sossano is said to have imposed particularly hard working conditions. At the age of sixteen he moved to Vicenza where he would reside for most of his life. Here he became an assistant in the Pedemuro studio, a leading workshop of stonecutters and masons. He joined a guild of stonemasons and bricklayers. 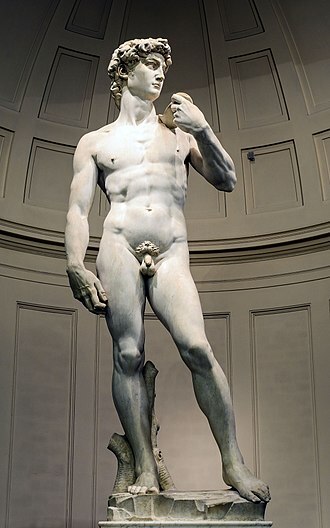 He was employed as a stonemason to make monuments and decorative sculptures. These sculptures reflected the Mannerist style of the architect Michele Sanmicheli. Perhaps the key moment that sparked Palladio's career was being employed by the Humanist poet and scholar, Gian Giorgio Trissino, from 1538 to 1539. While Trissino was reconstructing the Villa Cricoli, he took interest in Palladio's work. Trissino was heavily influenced by the studies of Vitruvius, which had become available in print in 1486. These later influenced Palladio's own ideals and attitudes toward classical architecture. As the leading intellectual in Vicenza, Trissino stimulated the young man to appreciate the arts, sciences, and Classical literature and he granted him the opportunity to study Ancient architecture in Rome. 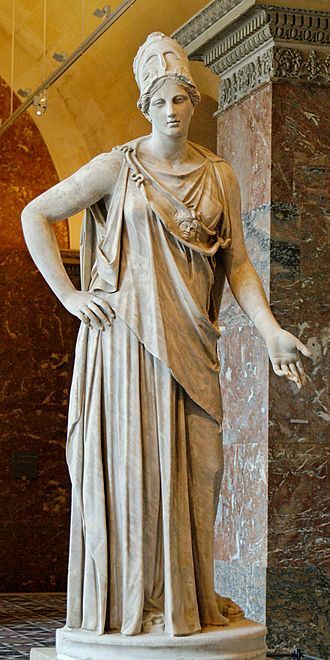 [a] It was also Trissino who gave him the name by which he became known, Palladio, an allusion to the Greek goddess of wisdom Pallas Athene and to a character of a play by Trissino. Indeed, the word Palladio means Wise one. After Trissino's death in 1550, Palladio benefited from the patronage of the Barbaro brothers, Cardinal Daniele Barbaro, who encouraged his studies of classical architecture and brought him to Rome in 1554, and his younger brother Marcantonio Barbaro. The powerful Barbaros introduced Palladio to Venice, where he finally became "Proto della Serenissima" (chief architect of the Republic of Venice) after Jacopo Sansovino. In addition to the Barbaros, the Corner, Foscari, and Pisani families supported Palladio's career. Andrea Palladio began to develop his own architectural style around 1541. The Palladian style, named after him, adhered to classical Roman principles he rediscovered and applied in his works. 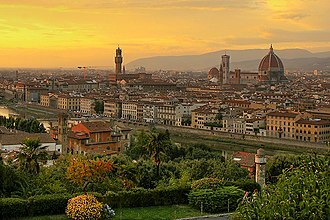 [b] His first major public project began when his designs for building the loggias for the town hall, known as the Basilica Palladiana, were approved in 1548. He proposed an addition of two-storey stone buttresses reflecting the Gothic style of the existing hall while using classical proportions. The construction was completed posthumously in 1617. Aside from Palladio's designs, his publications contributed to Palladianism. During the second half of his life, Palladio published many books on architecture, most famously, I Quattro Libri dell'Architettura (The Four Books of Architecture, Venice, 1570). Palladio is most known for his designs of villas and palaces as well as his books. The precise circumstances of Palladio's death are unknown. He died in 1580, retold in tradition in Maser, Italy, and was buried in the church of Santa Corona in Vicenza. Since the 19th century his tomb has been located in the Cimitero Maggiore of Vicenza. Palladio's architecture was not dependent on expensive materials, which must have been an advantage to his more financially pressed clients. Many of his buildings are of brick covered with stucco. Stuccoed brickwork was always used in his villa designs in order to portray his interpretations of the Roman villa typology. In the later part of his career, Palladio was chosen by powerful members of Venetian society for numerous important commissions. His success as an architect is based not only on the beauty of his work, but also for its harmony with the culture of his time. His success and influence came from the integration of extraordinary aesthetic quality with expressive characteristics that resonated with his client's social aspirations. His buildings served to communicate, visually, their place in the social order of their culture. 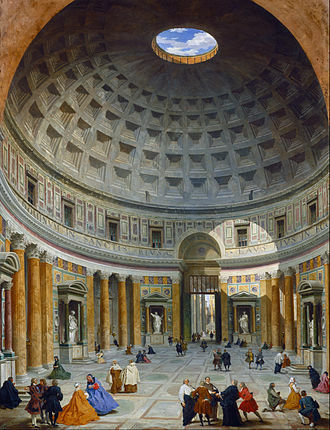 This powerful integration of beauty and the physical representation of social meanings is apparent in three major building types: the urban palazzo, the agricultural villa, and the church. Relative to his trips to Rome, Palladio developed three main palace types by 1556. In 1550, the Palazzo Chiericati was completed. The proportions for the building were based on musical ratios for adjacent rooms. 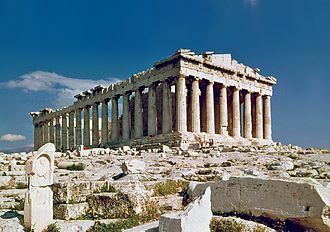 The building was centralized by a tripartite division of a series of columns or colonnades. In 1552, the Palazzo Iseppo Porto located in Vicenza was rebuilt incorporating the Roman Renaissance element for façades. A colonnade of Corinthian columns surrounded a main court. The Palazzo Antonini in Udine, constructed in 1556, had a centralized hall with four columns and service spaces placed relatively toward one side. He uses styles of incorporating the six columns, supported by pediments, into the walls as part of the façade. This technique had been applied in his villa designs as well. Palladio experimented with the plan of the Palazzo Iseppo Porto by incorporating it into the Palazzo Thiene. It was an earlier project from 1545 to 1550 and remained uncompleted due to elaborate elevations in his designs. 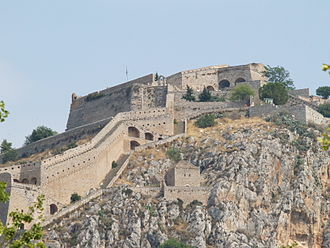 He used Mannerist elements such as stucco surface reliefs and large columns, often extending two stories high. In his urban structures he developed a new improved version of the typical early Renaissance palazzo (exemplified by the Palazzo Strozzi). Adapting a new urban palazzo type created by Bramante in the House of Raphael, Palladio found a powerful expression of the importance of the owner and his social position. The main living quarters of the owner on the second level were clearly distinguished in importance by use of a pedimented classical portico, centered and raised above the subsidiary and utilitarian ground level (illustrated in the Palazzo Porto and the Palazzo Valmarana). The tallness of the portico was achieved by incorporating the owner's sleeping quarters on the third level, within a giant two-story classical colonnade, a motif adapted from Michelangelo's Capitoline buildings in Rome. The elevated main floor level became known as the "piano nobile", and is still referred to as the "first floor" in Europe. Palladio also established an influential new building format for the agricultural villas of the Venetian aristocracy. Palladio's approach to his villa designs was not relative to his experience in Rome. His designs were based on practicality and employed few reliefs. He consolidated the various stand-alone farm outbuildings into a single impressive structure, arranged as a highly organized whole, dominated by a strong center and symmetrical side wings, as illustrated at Villa Barbaro. In the project of the Villa Barbaro, Palladio most likely was also engaged in the interior decoration. Alongside the painter Paolo Veronese, he invented the complex and sophisticated illusionistic landscape paintings that cover the walls of various rooms. The Villa Rotonda of 1552, outside Vicenza, was constructed as a summer house with views from all four sides. The plan has centralized circular halls with wings and porticos expanding on all four sides. Palladio began to implement the classical temple front into his design of façades for villas. He felt that to make an entry appear grand, the Roman temple front would be the most suitable style. The Palladian villa configuration often consists of a centralized block raised on an elevated podium, accessed by grand steps, and flanked by lower service wings, as at Villa Foscari and Villa Badoer. This format, with the quarters of the owners at the elevated center of their own world, found resonance as a prototype for Italian villas and later for the country estates of the British nobility (such as Lord Burlington's Chiswick House, Vanbrugh's Blenheim, Walpole's Houghton Hall, and Adam's Kedleston Hall and Paxton House in Scotland). His villas were used by a capitalist gentry who developed an interest in agriculture and land. The configuration was a perfect architectural expression of their worldview, clearly expressing their perceived position in the social order of the times. His influence was extended worldwide into the British colonies. Palladio developed his own prototype for the plan of the villas that was flexible to moderate in scale and function. The Palladian villa format was easily adapted for a democratic worldview, as may be seen at Thomas Jefferson's Monticello and his arrangement for the University of Virginia. It also may be seen applied as recently as 1940 in Pope's National Gallery in Washington D.C., where the public entry to the world of high culture occupies the exalted center position. The rustication of exposed basement walls of Victorian residences is a late remnant of the Palladian format, clearly expressed as a podium for the main living space for the family. Similarly, Palladio created a new configuration for the design of Catholic churches that established two interlocking architectural orders, each clearly articulated, yet delineating a hierarchy of a larger order overriding a lesser order. This idea was in direct coincidence with the rising acceptance of the theological ideas of St. Thomas Aquinas, who postulated the notion of two worlds existing simultaneously: the divine world of faith, and the earthly world of humans. Palladio created an architecture which made a visual statement communicating the idea of two superimposed systems, as illustrated at San Francesco della Vigna. In a time when religious dominance in Western culture was threatened by the rising power of science and secular humanists, this architecture found great favor with the Catholic Church as a clear statement of the proper relationship of the earthly and the spiritual worlds. Palladio is known to be one of the most influential architects in Western architecture. His architectural works have "been valued for centuries as the quintessence of High Renaissance calm and harmony" He designed many palaces, villas, and churches, but Palladio's reputation, initially, and after his death, has been founded on his skill as a designer of villas. The Palladian villas are located mainly in the province of Vicenza, while the palazzi are concentrated in the city of Vicenza and the churches in Venice. A number of his works are now protected as part of the World Heritage Site City of Vicenza and the Palladian Villas of the Veneto. Other buildings by Palladio are to be found within the Venice and its Lagoon World Heritage Site. Although his buildings are all in a relatively small part of Italy, Palladio's influence was far-reaching. One factor in the spread of his influence was the publication in 1570 of his architectural treatise, I Quattro Libri dell'Architettura (The Four Books of Architecture), which set out rules others could follow. The first book includes studies of decorative styles, classical orders, and materials. The second book included Palladio's town and country house designs and classical reconstructions. The third book has bridge and basilica designs, city planning designs, and classical halls. The fourth book included information on the reconstruction of ancient Roman temples. Before this landmark publication, architectural drawings by Palladio had appeared in print as illustrations to Daniele Barbaro's "Commentary" on Vitruvius. Interest in his style was renewed in later generations and became fashionable throughout Europe, for example in parts of the Loire Valley of France. In Britain, Inigo Jones, Elizabeth Wilbraham, and Christopher Wren embraced the Palladian style. In his Italian Journey, Johann von Goethe describes Palladio as a genius, commending his unfinished Convent of Saint Maria della Carita as the most perfect existing work of architecture. Another admirer was the architect, Richard Boyle, 4th Earl of Cork, also known as Lord Burlington, who, with William Kent, designed Chiswick House. The influence of Palladio even spread to America. Thomas Jefferson and Thomas Dawes much admired that style of architecture, and the United States Capitol building is an example of a slightly evolved version of Palladio's works. The One Hundred Eleventh Congress of the United States of America called him the "Father of American Architecture" (Congressional Resolution no. 259 of 6 December 2010). Exponents of Palladianism include the eighteenth century Venetian architect, Giacomo Leoni, who published an authoritative four-volume work on Palladio and his architectural concepts. More than 330 of Palladio's original drawings and sketches still survive in the collections of the Royal Institute of British Architects, most of which originally were owned by Inigo Jones. Jones collected a significant number of these on his Grand Tour of 1613–1614, while some were a gift from Henry Wotton. The Center for Palladian Studies in America, Inc., a nonprofit membership organization, was founded in 1979 to research and promote understanding of Palladio's influence in the architecture of the United States. In 2010, the National Building Museum in Washington, D.C. created an exhibition dedicated solely to Palladio and his legacy. The exhibition, titled Palladio and His Legacy: A Transatlantic Journey, was open to the public until January 2011. Note: the chronology is generally referred to the project of the works, not to the construction. ^ Palladio knew relatively little about Greek architecture, not yet rediscovered at his times, but he studied deeply the Roman remains during his trips to Rome. 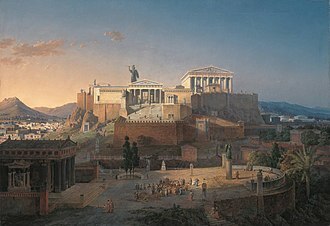 His works are heavily influenced by his studies of Greco-Roman architecture. ^ a b "Andrea Palladio (Italian architect) – Britannica Online Encyclopedia". Britannica.com. Retrieved 25 March 2013. ^ a b c d Palladio 1965, p. v.
^ The Center for Palladian Studies in America, Inc., His conception of classical architecture was heavily influenced by Vitruvian ideas and his mentor Trissino. 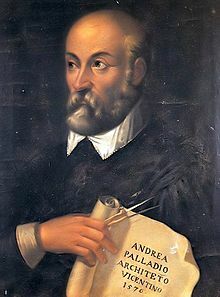 "Andrea Palladio." 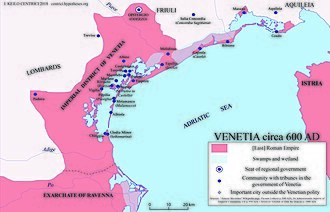 ^ "City of Vicenza and the Palladian Villas of the Veneto". UNESCO World Heritage Centre. 2019. Retrieved 6 March 2019. ^ The Houghton Mifflin dictionary of biography. Houghton Mifflin. 2003. p. 1167. ISBN 0-618-25210-X. ^ a b Palladio 1965, p. vi. ^ Mostra del Palladio: Vicenza / Basilica Palladiana (in Italian). Electa. 1973. p. 46. ^ Dr Nebahat Avcioglu (23 December 2013). Architecture, Art and Identity in Venice and its Territories, 1450–1750: Essays in Honour of Deborah Howard. Ashgate Publishing, Ltd. p. 150. ISBN 978-1-4724-1082-5. ^ Watkin, D., A History of Western Architecture. ^ "The US Congress: 'Palladio, the Father of American Architecture'". www.marcadoc.it. ^ Source: "Catalog of works [by Palladio]". CISA. Archived from the original on 30 October 2013. Retrieved 11 November 2013. Palladio, Andrea (1965) . The Four Books of Architecture. intro. by Adolf K. Placzek. New York: Dover Publications. ISBN 0-486-21308-0. Santa Corona is a Gothic-style, Roman Catholic church located in Vicenza, region of Veneto, Italy. The church contains the Valmarana chapel, whose design is attributed to the Renaissance architect Andrea Palladio, Palladio himself is buried in this church. Construction on the church was begun in 1261 by the Blessed Bishop Bartolomeo di Breganze to house a thorn from the relic of the crown of thorns forced on Jesus during his passion. The thorn had been given to this bishop as a gift from Louis IX of France, the church belonged to the Dominican order until suppression during the Napoleonic era. 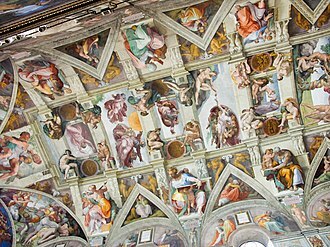 The church has an altarpiece depicting, the Baptism of Christ by Giovanni Bellini, the Thiene chapel has frescos by Michelino da Besozzo, and an altarpiece depicting an Enthroned Madonna and child venerated by Saints Peter and Pius V by Gianbattista Pittoni. After the death of one of his patrons, Antonio Valmarana, likely in 1576, santa Corona had already been the church were other members of the family had been interred. Villa Foscari is a patrician villa in Mira, near Venice, northern Italy, designed by the Italian architect Andrea Palladio. It is known as La Malcontenta, a nickname which it received when the spouse of one of the Foscaris was locked up in the house because she didnt live up to her conjugal duty. The villa was commissioned by the brothers Nicolo and Luigi Foscari, members of a patrician Venetian family that produced Francesco Foscari and it was built between 1558 and 1560. The villa lacks the agricultural buildings which were a part of some of the other Palladian villas. It was used for receptions, such as that given for Henry III of France in 1574. The interior of the villa is decorated with frescoes by Battista Franco. Mythological scenes from Ovid alternate with allegories of the Arts and Virtues, as at other Palladian villas, the paintings reflect villa life in, for example, Astraea showing Jove the pleasures of the Earth. The frescoes have dulled over time, signs of the threat that air pollution poses to works of art. The Palazzo Chiericati is a Renaissance palace in Vicenza, designed by Andrea Palladio. Palladio was asked to design and build the palazzo by Count Girolamo Chiericati, the architect started building the palace in 1550, and some further work was completed under the patronage of Chiericatis son, Valerio. However, the palazzo was not fully finished until about 1680, Palladio designed a country home, the Villa Chiericati, for the family. The palazzo was built in an area called piazza dellIsola, which housed the wood, the palazzos principal façade is composed of three bays, the central bay projecting slightly. The two end bays have logge on the piano nobile level, while the bay is closed. The façade has two superimposed orders of columns, Doric on the level with Ionic above. The roofline is decorated by statuary, since 1855 the building has housed the Museo Civico and, more recently, the citys art gallery. It has received international protection since 1994, along with the other Palladian buildings of Vicenza, great buildings online retrieved 18. The Non Basilica del Santissimo Redentore, commonly known as Il Redentore, is a 16th-century Roman Catholic church located on Giudecca in the sestiere of Dorsoduro, in the city of Venice, Italy. It was designed by the architect Andrea Palladio and built as a church to thank God for the deliverance of the city from a major outbreak of the plague. Located on the waterfront of the Canale della Giudecca, it dominates the skyline of the island of Giudecca and it is a member of the Chorus Association of Venetian churches and contains a number of paintings by artists including Tintoretto, Paolo Veronese and Francesco Bassano. Il Redentore was built as a church in thanksgiving for deliverance from a major outbreak of the plague that decimated Venice between 1575 and 1576, in which some 46,000 people died. The Senate of the Republic of Venice commissioned the architect Andrea Palladio to design the votive church, though the Senate wished the Church to be square plan, Palladio designed a single nave church with three chapels on either side. Its prominent position on the Canale della Giudecca gave Palladio the opportunity to design a facade inspired by the Pantheon of Rome, the cornerstone was laid by the Patriarch of Venice Giovanni Trevisano on May 3,1577 and the building was consecrated in 1592. At the urgent solicitations of Pope Gregory XIII, after consecration the church was placed in charge of the Order of Friars Minor Capuchin, a small number of Friars reside in the monastery attached to the church. 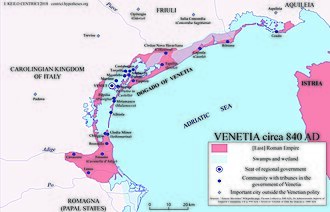 Every year the doge and senators walked across a specially constructed pontoon bridge from the Zattere to Giudecca to attend Mass in the church, the Festa del Redentore remains a major festival in the Venetian calendar, celebrated on the third Sunday in July. A huge firework display on the evening is followed by a mass procession across the pontoon bridge. Il Redentore has one of the most prominent sites of any of Palladios structures and it is a large, white building with a dome crowned by a statue of the Redeemer. On the façade a central triangular pediment overlies a larger, lower one and this classical feature recalls Palladios façade for San Francesco della Vigna, where he used an adaptation of a triumphal arch. Palazzo Porto is a palazzo built by Andrea Palladio in Contrà Porti, Italy. It is one of two palaces in the city designed by Palladio for members of the Porto family, commissioned by the noble Iseppo da Porto, just married, this building had a rather long designing stage and a longer and troublesome realization, partially unfinished. Since 1994 UNESCO has been included the palazzo, with examples of palladian architecture in Vicenza, in a World Heritage Site City of Vicenza. It is possible that it was Iseppo’s very marriage to Livia Thiene, in the first half of the 1540s, the two friends died in the same year,1580. The palace was inhabitable from December 1549, though less than half the façade was standing, numerous autograph drawings by Palladio record the complex design process. They show that right from the beginning Palladio planned for two distinct, residential blocks, one to lie along the street and the other contiguous to the wall of the courtyard. The Bramantean model of Palazzo Caprini is here reinterpreted, with Palladio observing the Vicentine custom of living on the ground floor, the splendid, four-columned atrium represents Palladio’s reinterpretation of Vitruvian spaces, but one where traditional Vicentine typologies survive. Il Redentore and Canale della Giudecca. Plan of the church (1783). Painting of Daniele Barbaro by Titian. Etching of Daniele Barbaro by Wenzel Hollar. Gentleman in ermine by Paolo Veronese, previously identified as Barbaro. The nave of Santa Corona. Palazzo Antonini, floor plan. Drawing by Ottavio Bertotti Scamozzi, 1781.